​Sat. at noon to 11 PM, & Sun. at noon to 8 PM! Around the Old First Ward in Buffalo, NY! Old Neighborhood St. Patrick's Day Parade coming on March 16th! The 26th annual "Old Neighborhood" St. Patrick's Day Parade will be held on Saturday, March 16, 2019! The epic parade marches through The Valley & Old First Ward neighborhoods! The parade passes by The Barrel Factory/Lakeward Spirits on Hamburg St. at Republic St. between Gene McCarthy's and us. Some of our guests watch the parade from Lakeward Spirits' upstairs terrace! Sponsored by Valley Community Center, informational updates on this year's parade will be posted on their website and Facebook page. Click on the pics below for some shots from the 2018 "Old Neighborhood" St. Patrick's Day Parade! 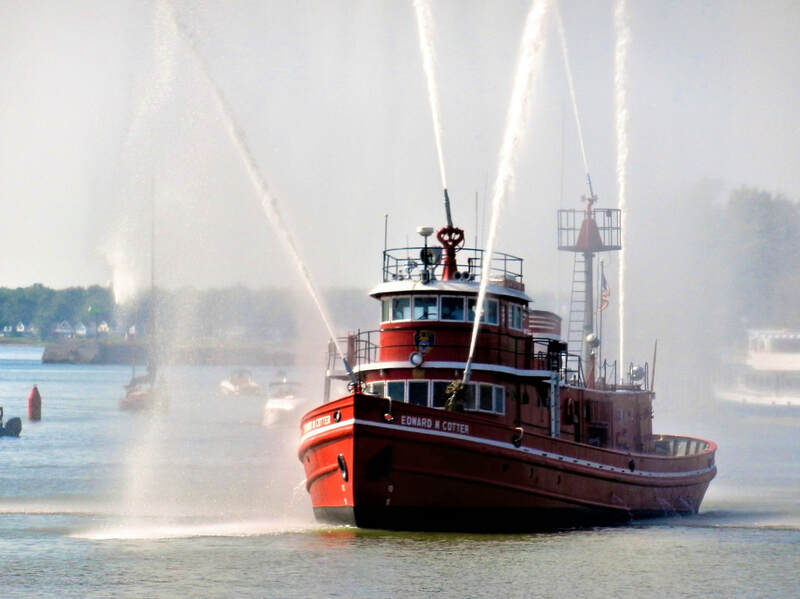 The world's oldest working fireboat, the 118' Edward M. Cotter of the Buffalo Fire Dept., has been designated as a National Historic Landmark. She has been serving the City of Buffalo and its Buffalo River area in the Old First Ward, plus the outer harbor on Lake Erie, since her construction in 1900. You can often see her at her berth on the Buffalo river at 155 Ohio Street. Visit the Fireboat E.M. Cotter Conservancy's website to learn more and to support efforts to keep the boat afloat! 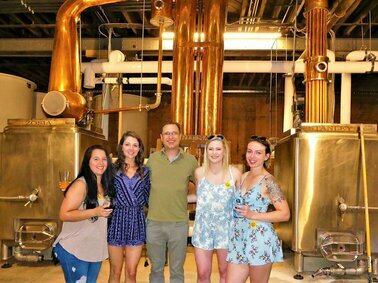 A Lakeward Spirits craft distillery tour at The Barrel Factory! 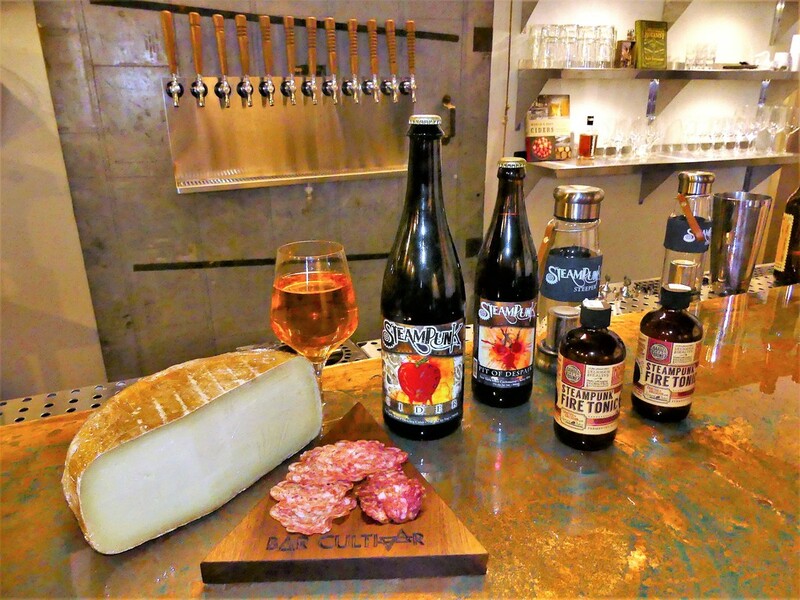 Lakeward Spirits (Tasting Room & Factory Store & outdoor patio with craft cocktails, Pressure Drop Brewing craft beer, & NYS wine, plus craft distillery tours!) OPEN on Thurs. from 5 - 10 PM, Fri. at noon - 11 PM, Sat. from noon - 11 PM, & Sun. from noon - 8 PM! Happy Hour from 5 - 6 PM! The Barrel Factory: SIGN UP FOR UPDATES! 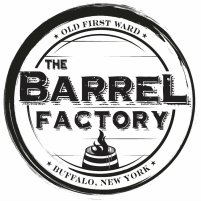 A fun Buffalo Pedal Tours stop at The Barrel Factory! 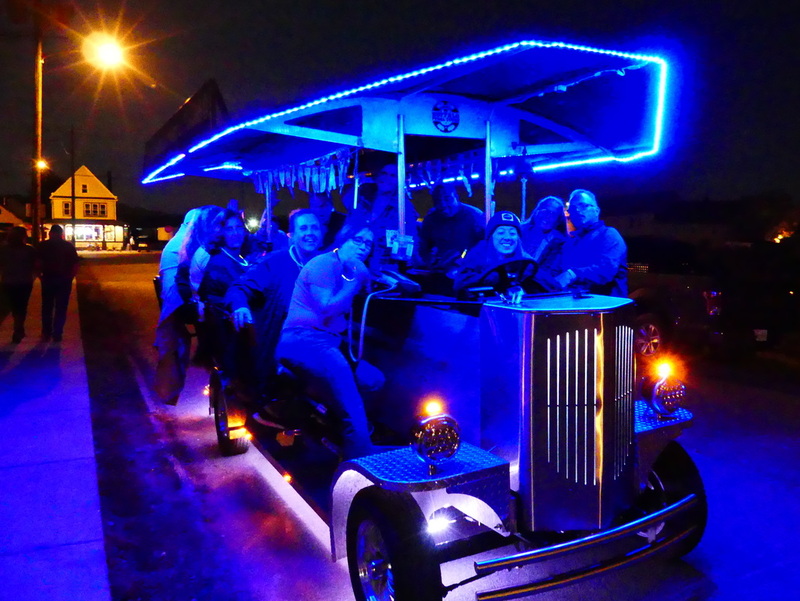 The Barrel Factory and Lakeward Spirits are pleased to team-up with "Buffalo Pedal Tours" on their adventurous and fun, year-round tours in Buffalo's legendary Old First Ward! 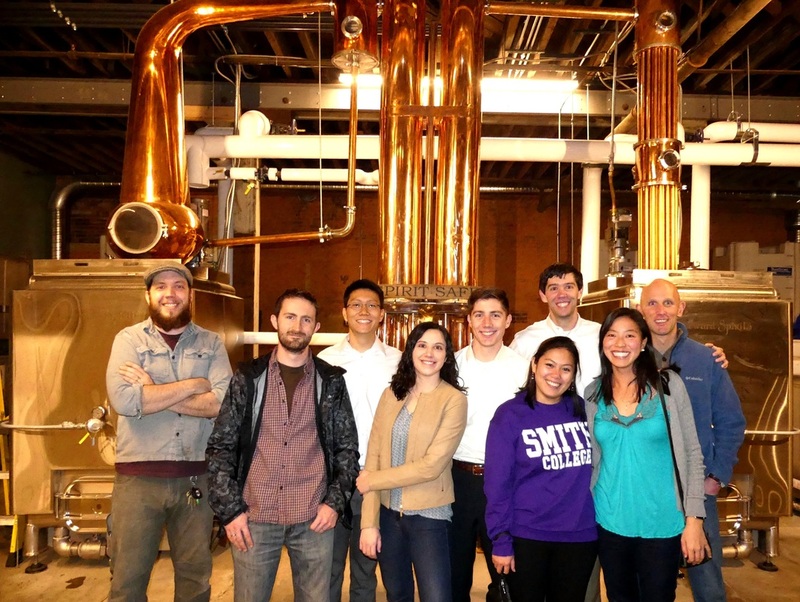 In addition to us, these cool tours stop at other renowned Old First Ward locations as well. Check-out their website and get ready for some truly memorable good times! ​Buffalo Double Decker Bus tours! Buffalo Double Decker Bus visits Lakeward Spirits at The Barrel Factory! 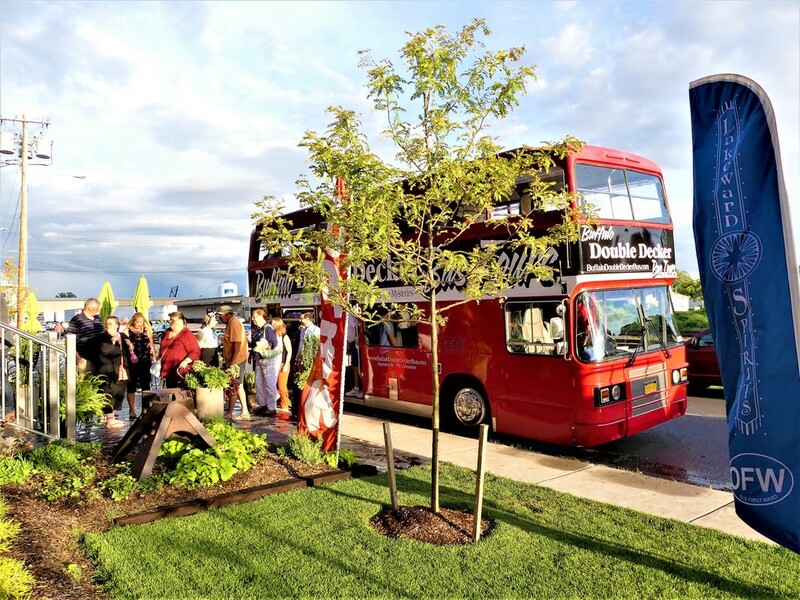 You can now explore Buffalo aboard a genuine British double decker bus! 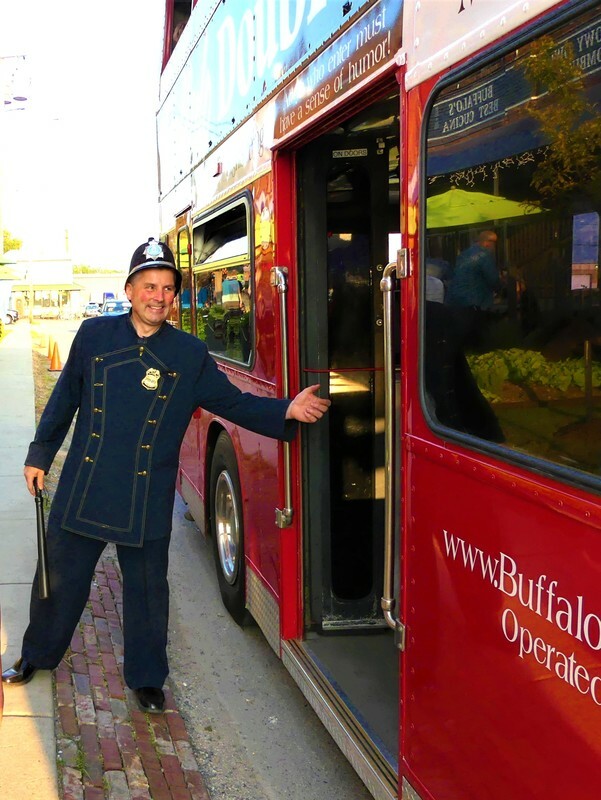 ​Experience the history and heritage of Buffalo on any of Buffalo Double Decker Bus Tours' entertaining, engaging, & FUN tours. Included are Murder Mystery tours, Historic Tavern tours, and much more. 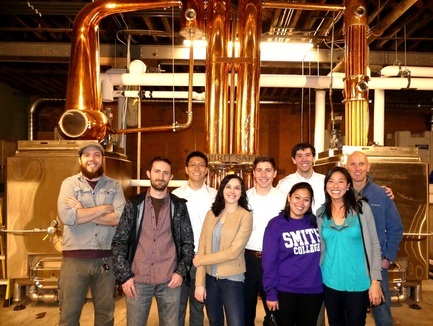 Many of these special tours stop at Lakeward Spirits in The Barrel Factory! Please check out Buffalo Double Decker Bus Tours' website for more information, tour schedules, and to make reservations. It's time to have some fun! Touring "elevator alley" with Explore Buffalo! The best way to appreciate the historic Buffalo River and the massive scale of its many grain elevators and other waterfront sights is right from the water! 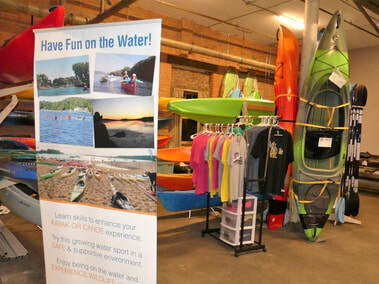 Join Explore Buffalo for kayak tours on the Buffalo River in partnership with Elevator Alley Kayak, who will provide the kayaks for these urban adventure tours. 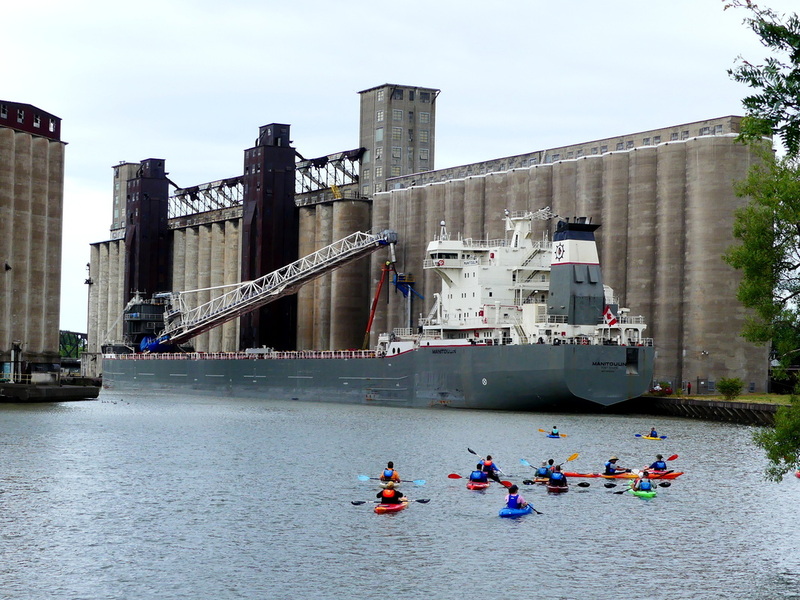 Learn about the history of the grain elevators in Buffalo, and have many terrific photo opportunities on these guided kayak tours going from Mutual Riverfront Park near The Barrel Factory & Lakeward Spirits to Canalside Buffalo and back. ​Explore Buffalo's popular tours by kayak are seasonal and run from May - October. ​Visit Explore Buffalo's website for more information, the upcoming tour schedule, and to make reservations! Enjoy Explore Buffalo's walking tours! Walking tours of Buffalo’s waterfront, including the Old First Ward, the grain elevators at Silo City, and of the Canalside area, are offered on a regular schedule from May through October. 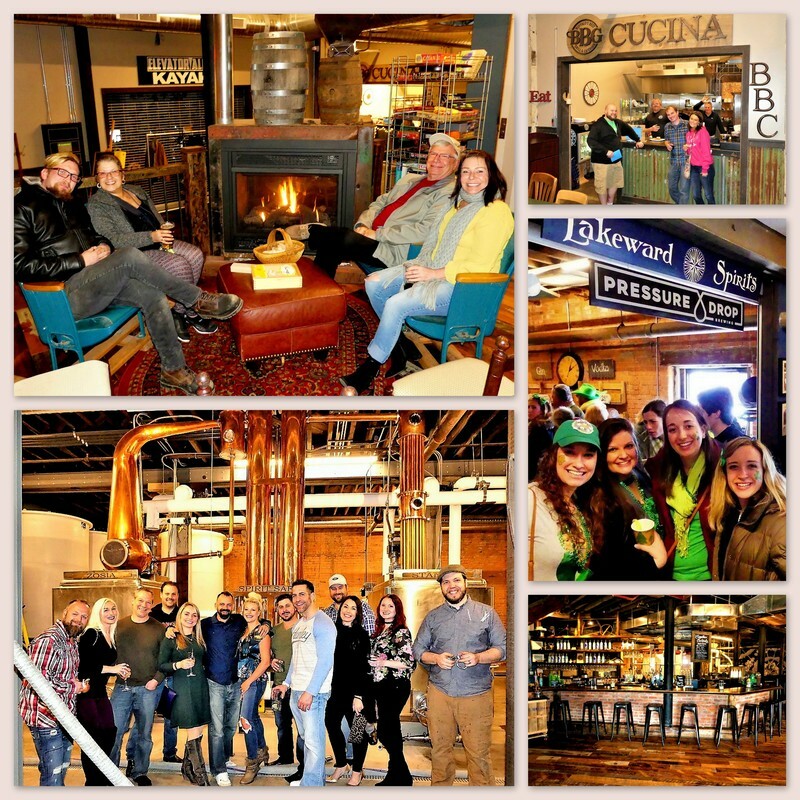 Explore Buffalo's signature Old First Ward walking tours include a stop at The Barrel Factory and Lakeward Spirits! ​Visit Explore Buffalo's website for details, the schedule of upcoming tours, and to make reservations! A Buffalo Double Decker Bus tour at Lakeward Spirits! 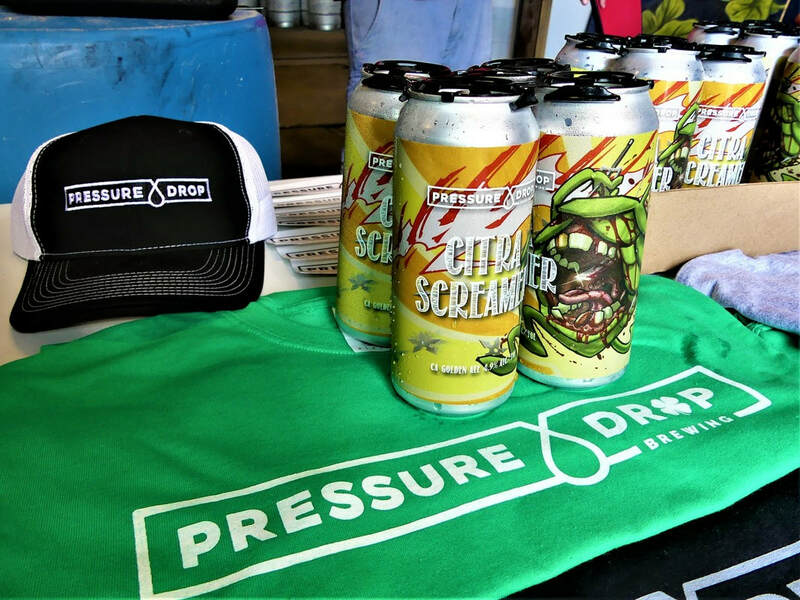 ​on March 2nd ​in Old First Ward! Sponsored by the Old First Ward Community Association and Center, the 2019 Shamrock Run will held on Saturday, March 2nd! This year, 5,000 runners are anticipated in the 41th annual 8K event. And, a similar number of well-wishers and cheerleaders will come along! The run passes by The Barrel Factory/Lakeward Spirits on Hamburg St. at Republic St. between Gene McCarthy's and us! See www.BuffaloShamrockRun.com for more information on this great mega annual event in the city's Old First Ward neighborhood! Sign up now! ​Enjoy our shots below of last year's Shamrock Run! 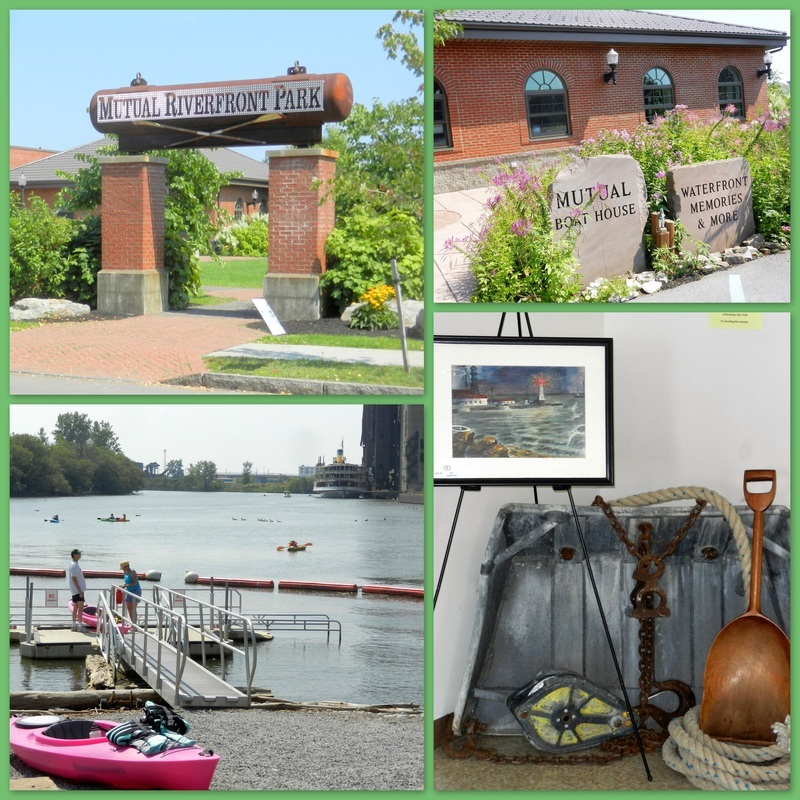 Mutual Riverfront Park & Kayak Launch! Click on Mutual Riverfront Park visual to enlarge! Mutual Riverfront Park and Kayak Launch, 41 Hamburg St. at South St. in Buffalo's Old First Ward, rests along the legendary Buffalo River. The park is just a little down Hamburg Street from The Barrel Factory and Lakeward Spirits along with Gene McCarthy's/Old First Ward Brewing. There is a seasonal public boat launch for kayaks and canoes. The historic "elevator alley" grain silos, boat traffic, and the Ohio St. lift bridge are visible from a promenade/overlook on the river at the park. Word has it that a regular boat dock will also be installed at the site in 2016 for water taxis, tour boats, etc.! See more pics taken from the park on Our Old First Ward Neighborhood website page. The "Waterfront Memories and More Heritage Center" (see further below) is located in the park, plus rain gardens and interpretive signage There is also ample space at the park for medium-sized, special events. Valley Community Center manages this great venue! 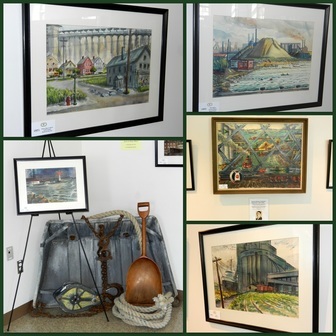 Waterfront Memories and More Heritage Center! 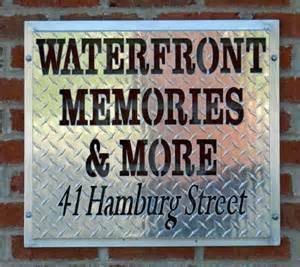 "Waterfront Memories and More Heritage Center" at Mutual Riverfront Park & Kayak Launch, 41 Hamburg St. at South St. along the Buffalo River in the Old First Ward. Regular museum hours are Tuesdays and Saturdays from 10:00 AM to 2:00 PM. This wonderful venue has extensive archives and historic memorabilia from Buffalo's Old First Ward and surrounding areas, as well as the region's Great Lakes maritime, transportation, and industrial heritage. 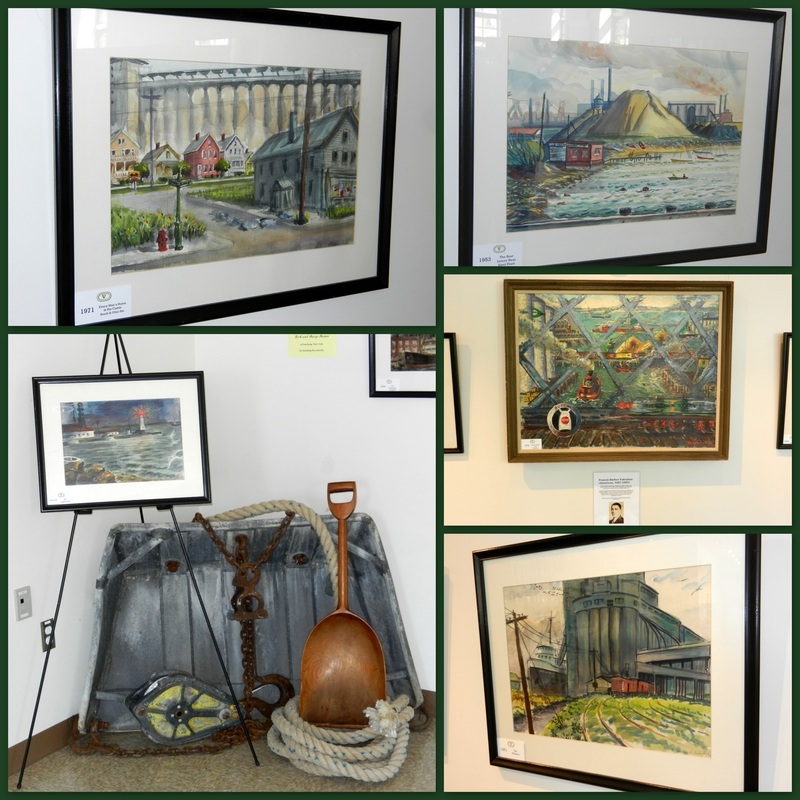 Several paintings by noted 20th Century Buffalo artist Francis Barker Valentine are also on display. The volunteer staff is extremely knowledgeable and helpful as well! 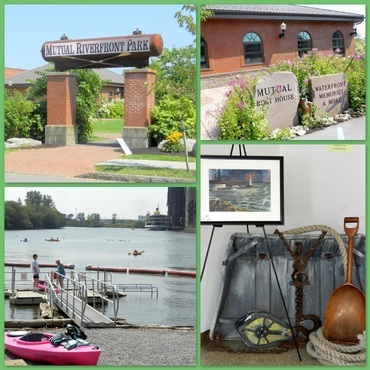 See more on Waterfront Memories and More from the Valley Community Center! Francis Barker Valentine at Waterfront Memories and More! 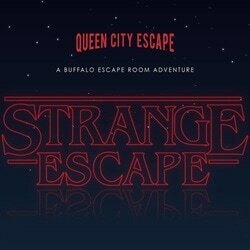 Unlock the fun at Queen City Escape Room, a uniquely designed, family-friendly Buffalo Escape Room Adventure. Get ready, because you and your group only have 60 minutes to work together and use your wits to escape the room before time runs out. Located at 225 Louisiana St. corner of O'Connell Ave. in Buffalo's historic Old First Ward! ​Our air-conditioned escape rooms are all about team building. Once locked in, talking to family, friends, or complete strangers is necessary as you work together to get out. There’s no time to be on your phone, and more often than not, groups leave more connected with everyone in the room, striking up friendships and developing trust. All of this makes for a great, interactive family activity, date night, or corporate team building exercise! So what are you waiting for? Come book your Buffalo Escape Room Adventure with us today, where every mystery, clue, and puzzle is skillfully designed to give you the greatest amount of challenge and fun: website and Facebook page! Our Lady of Perpetual Help Restoration Fund EVENTS! Click on OLPH photo to enlarge! 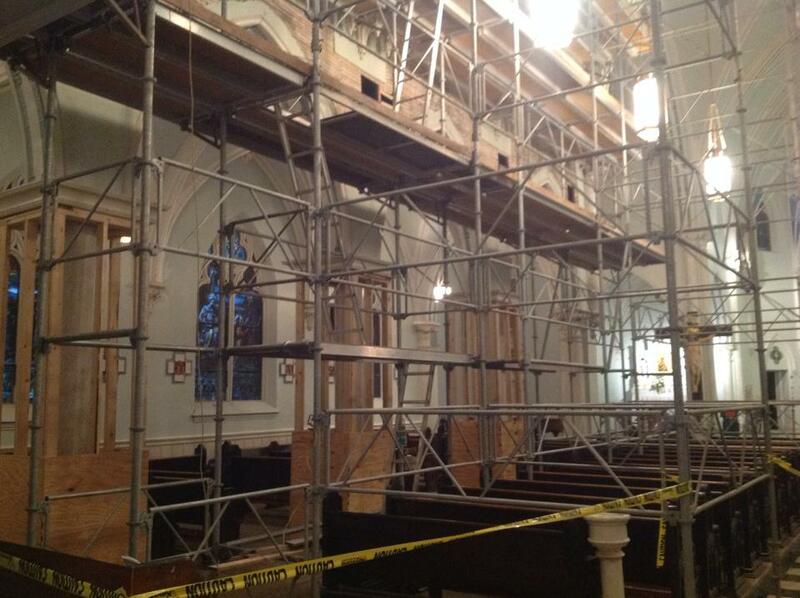 See OLPH's Facebook page for more on these important, upcoming events and the other parish fundraising efforts to pay for critical repairs to the historic (1897) church in Buffalo's Old First Ward! SS COLUMBIA arrives in Buffalo! The 114-year old steamship SS Columbia arrived in Buffalo and its legendary Old First Ward on September 2, 2015! Her upper super structure is to be refurbished next to Silo City's Marine A elevator on the Buffalo River during the next couple years. Then, she'll be headed to NYC. For now, Columbia is view-able from Mutual Riverfront Park & Boat Launch, Hamburg & South Streets near The Barrel Factory and Lakeward Spirits! Area Map & Useful Links!